Good Morning! We had a very nice weekend that included a little rain and cooler weather. It was so nice. :) Today I just wanted to share this accidental recipe with you. Last week Spencer requested an ice cream cake. Um, I've never made one of those so we made it up! We layered chocolate ice cream, torn angel food cake, Cool Whip, hot fudge sauce, more cake, broken Heath bars, and at serving time we topped it with hot fudge sauce. It was 50,000 calories of deliciousness! It was also familiar so I guess we've had it before. If it was your recipe, forgive me for not remembering. Give this easy breezy concoction a try! Oh my that looks DELICIOUS!!! I am enjoying our cooler weather but we have not had a drop of rain....yet....you see I am being optimistic that we WILL get some!!!! Love the 50,000 calorie thing! I am sure Spencer was not worried on his birthday, just how many calories this amazing looking dessert had. What fun! Don't you think the angel food cake cubes would make it "low calorie?" Just dreaming. I can imagine that this scrumptious looking cake was quite a hit with Spencer. Looks like you did a good job of making up the recipe. Good Morning Stacey, I can feel the old fat cells swelling just looking at this post... YUMO!!! We can dream can't we. I bet that little fellow was in goody heaven. i have seen that recipe. It wasn't mine but my daughter makes it. 50 000 calories ALWAYS tastes delicious!!! I'm definitely trying this recipe! THANK YOU for sharing it!!! Smiles :0)! I am in...wheree do I get a piece!!! YUMMY!!! sorts...I would love to make it!!! 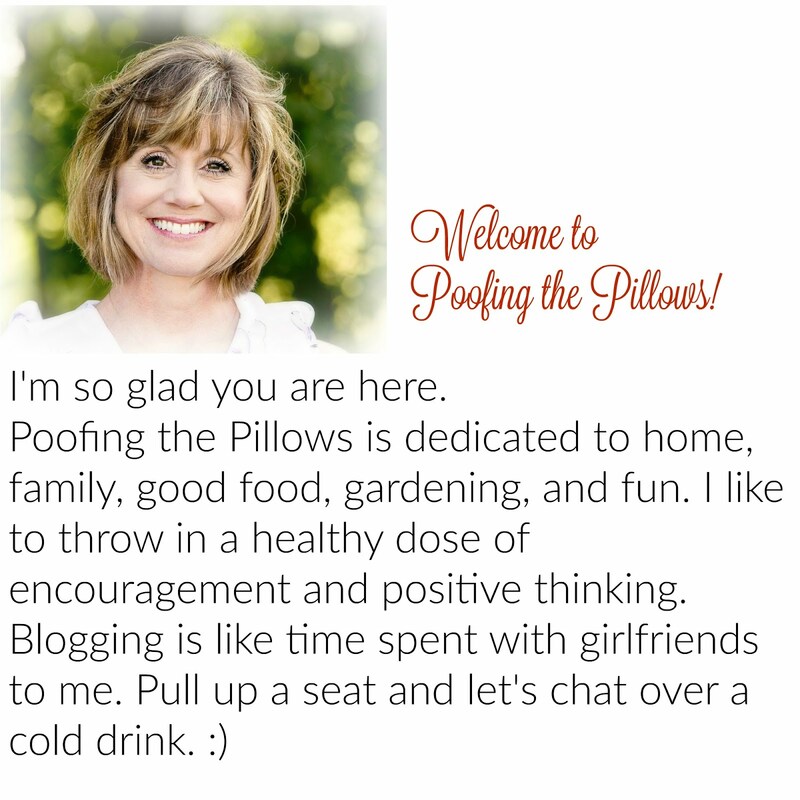 the title "poofing the pillows" just cracks me up! that looks like a fabulous desert! but not one I ought to make unless the house is full of people to help me eat it!!! Looks like a giant hot fudge sundae! Yum! Hi there....I am trying to catch up on visits and just saw your best wishes...and don't think I was able to get back to you! Thank you for your encouraging comment. I do love your blog! SO cute! Good heavens! I forget to comment on that delicious desert you posted...WOW! It looks just delicious. A recipe I must copy and save! Thank you for sharing it! Mmmmmm!!! That looks amazing and you are making me hungry! That looks SO good! My guys would love it. Oh my, this looks so delish! I am gaining weight just drooling over the picture! Oh my, that does look amazing. I may have to try one of those this summer. Can I send you 49,500 calories? The dessert looks delicious, but 50,000 calories might be an underestimate:-). This cake looks sinfully good - saw the picture and was instantly starved!! I'm going to give it a whirl - can't wait!!! Man, that looks scrumptious! I'd throw in a jar of maraschino cherries, too. Oh my goodness...that looks heavenly! YUM!